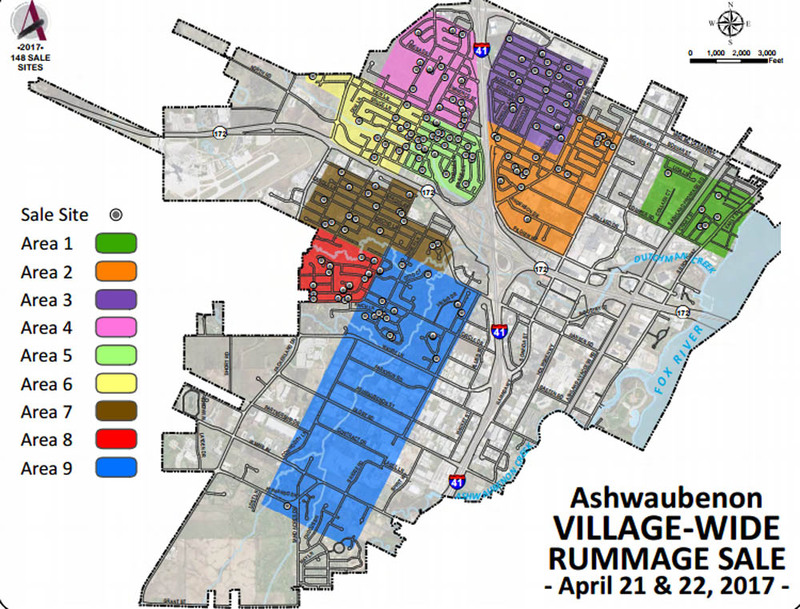 ASHWAUBENON — The 7th annual Ashwaubenon village-wide rummage sale is set for 8 a.m. to 3 p.m. Friday, April 21, 2017 through Saturday, April 22, 2017. Download a pdf of the rummage sale map HERE. The village is divided into nine zones for the efficient rummage sale shopper. The map includes home addresses, a general description of the sale and codes for what items shoppers can find. Items include sporting equipment, tools, baby items, boys and girls clothes and more.